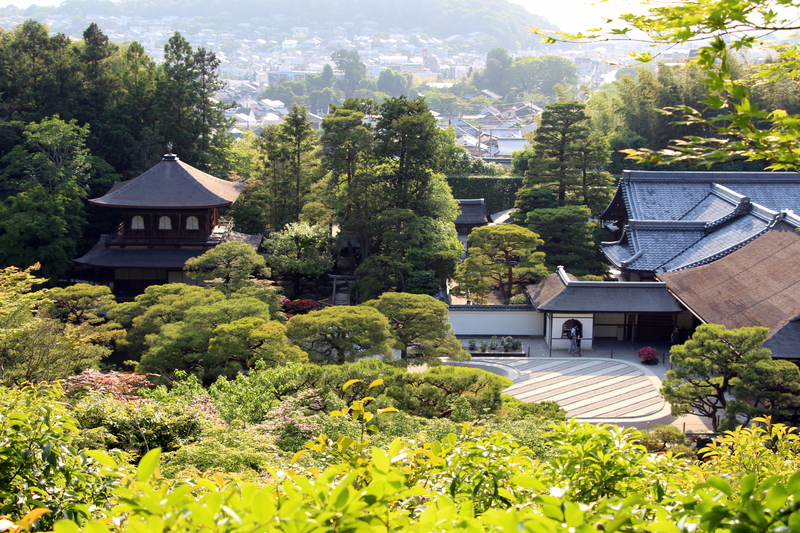 Kyoto is the historic and cultural capital of Japan. 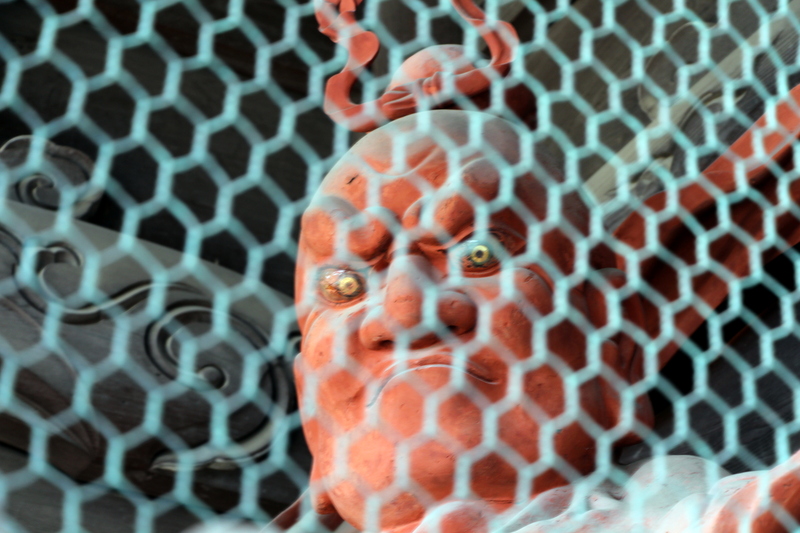 Until Tokugawa started the Edo era by moving the capital from Kyoto to Tokyo, Kyoto was the center Japan’s power. 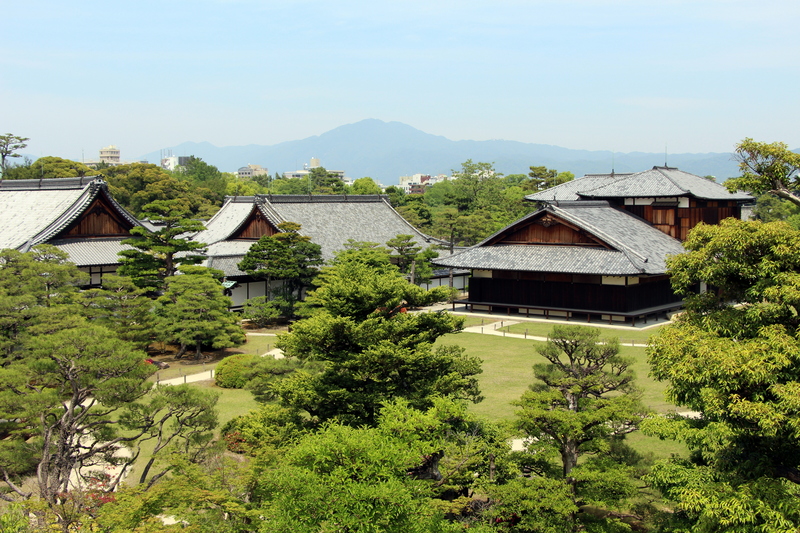 Even after 1600, it remained an important city as the emperor and its samurais where still living in the imperial palace, even though the real power was in the hands of the Tokugawa shogun. 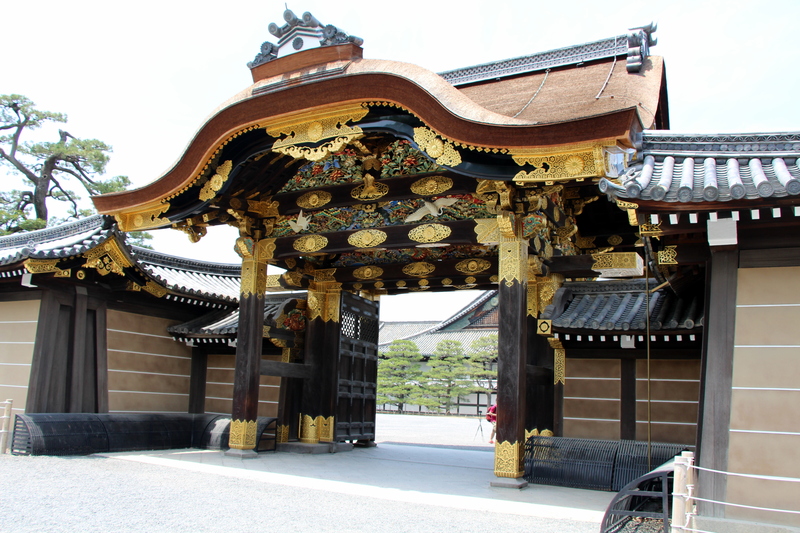 The emperor moved the imperial residence to Tokyo when they took back the power in 1868. 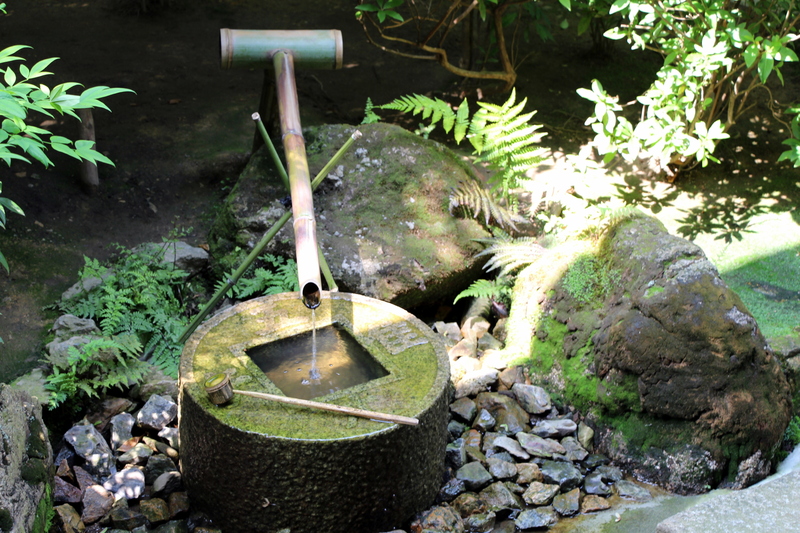 Kyoto is definitely more relaxed than Tokyo. It’s also a nicer city without skyscrapers or big buildings and more traditional little streets and houses. We spent our first night in an authentic Japanese house, sleeping on a futon laid on a tatami… and it was surprisingly very comfortable! 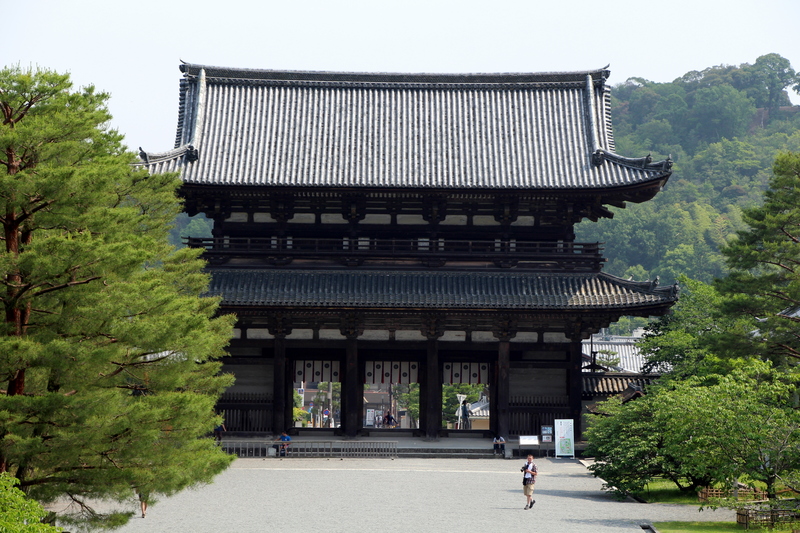 Kyoto counts a number of World Heritage temples, and we visited the main ones in three days, cycling around the city. 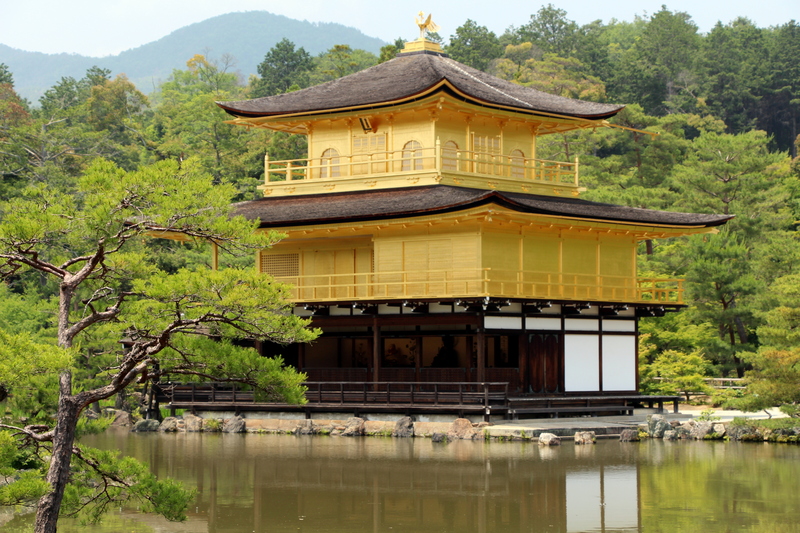 Kinkaku-ji was built in 1397 by the shogun Ashikaga Yoshimitsu (the Japanese Louis XIV) as his retirement home and to show his power to China. 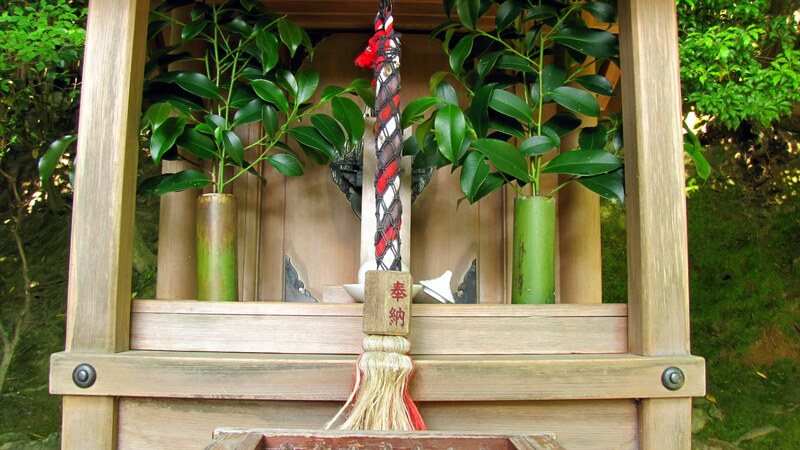 It is covered in golden leaves and was transformed in a temple when he died. 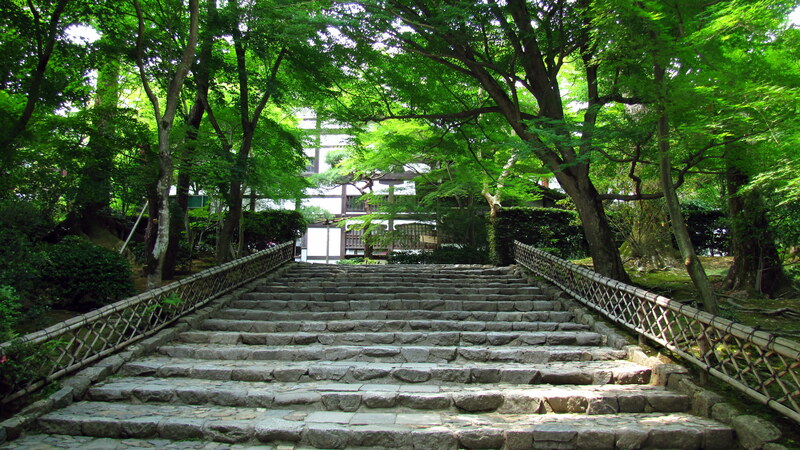 It is one of our favorite monuments in Kyoto. 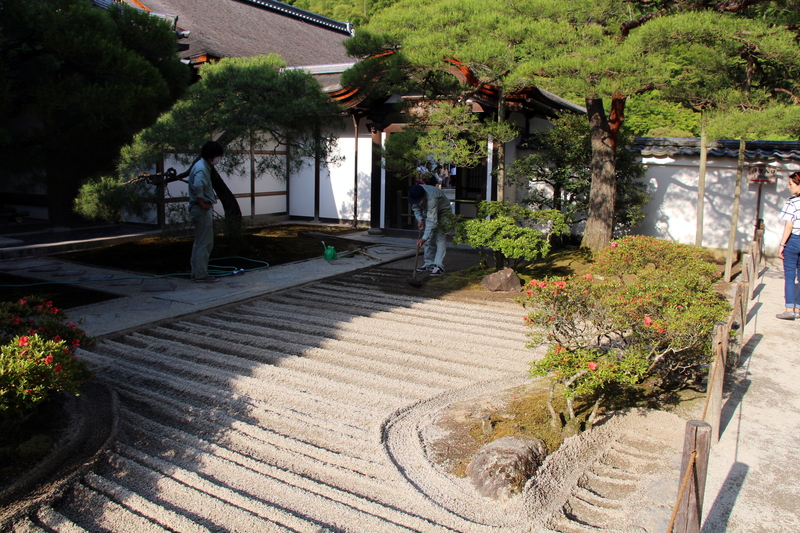 Ryoan-Ji is a Buddhist temple home to the most famous of zen gardens. 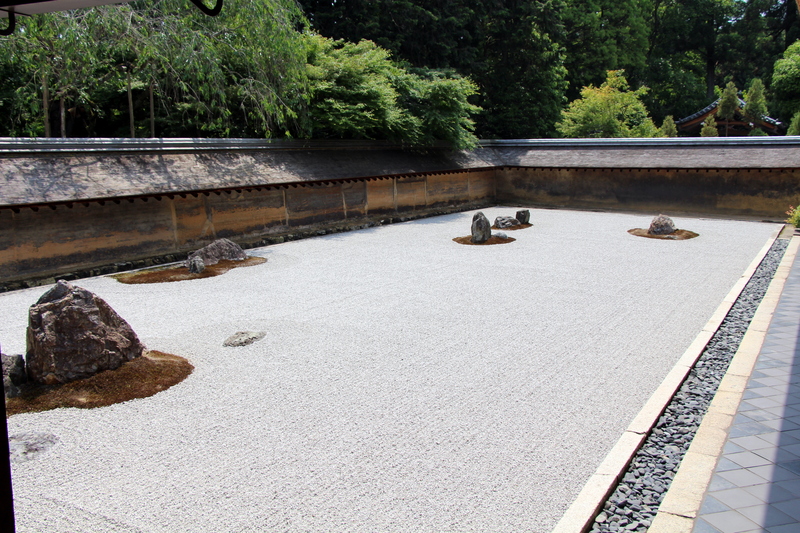 The zen garden counts 15 rocks symbolizing the different continents and islands of the world. 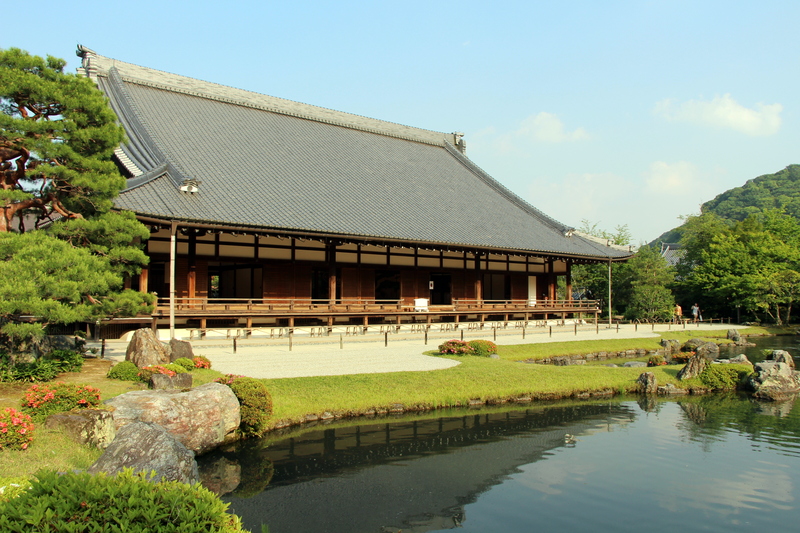 Ninna-ji was originally a palace built in 886 by emperor Koko and finished by his son Uda Tenno. 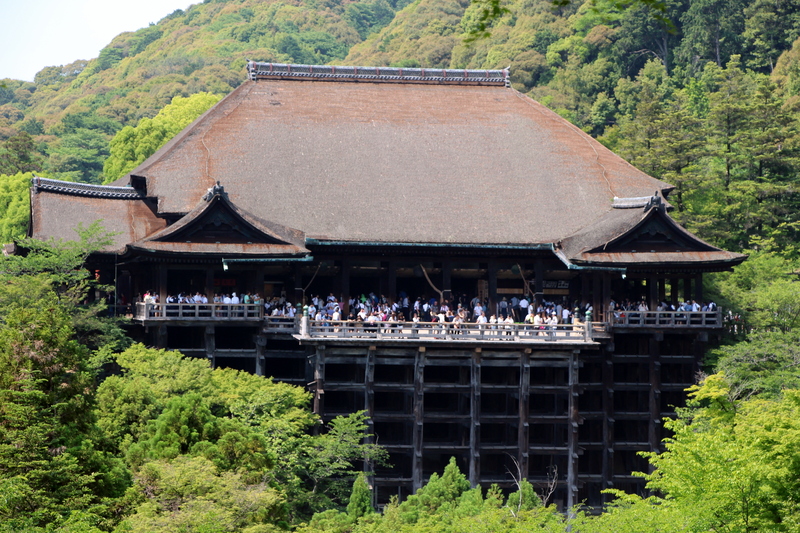 Kiyomizu-dera temple was built in 798 and is famous for its architecture: the temple is built on a 13 meters-high platform with 139 wooden piles. 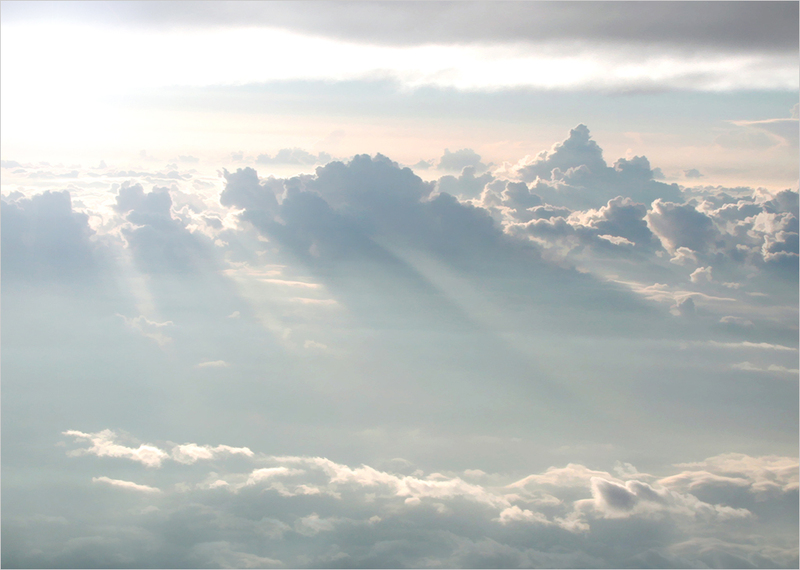 A legend says that if someone can jump from the platform without dying, his wish will be granted: out of the 234 who tried, 80% survived. 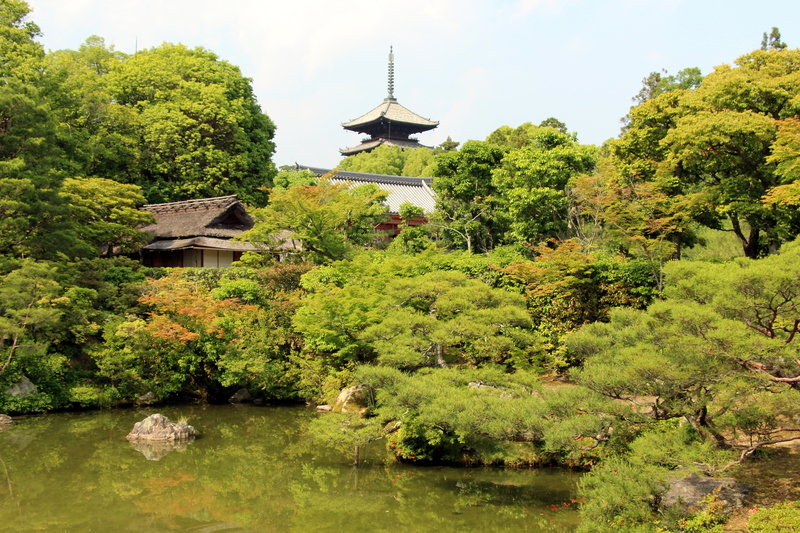 Ginkaku-ji temple was initial the residence of the shogun Ashikaga Yoshimasa (1435 – 1490), converted in a zen temple after his death. 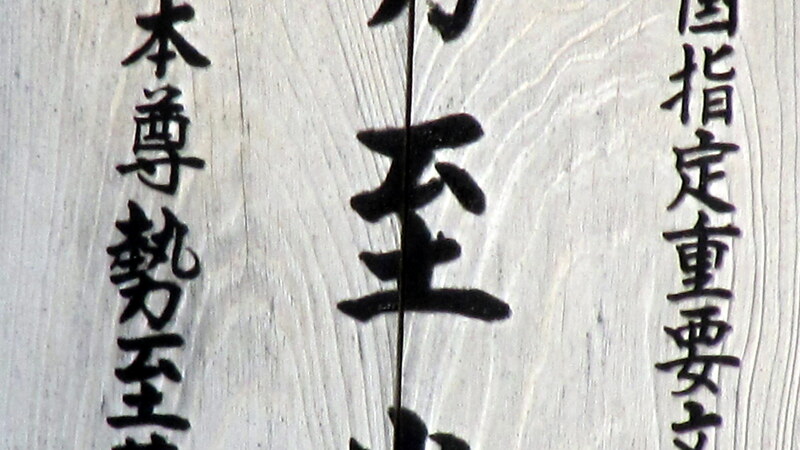 Built on the model of Kinkaku-ji, the initial project of covering the pavilion of silver leaves was never pursued. 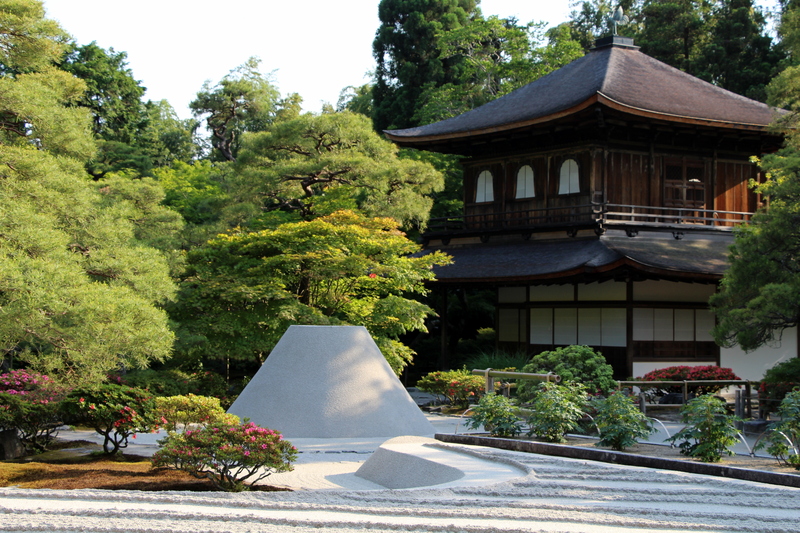 Nevertheless the Silver Pavilion is one of the nicest sites of Kyoto and one of our favorite temples. 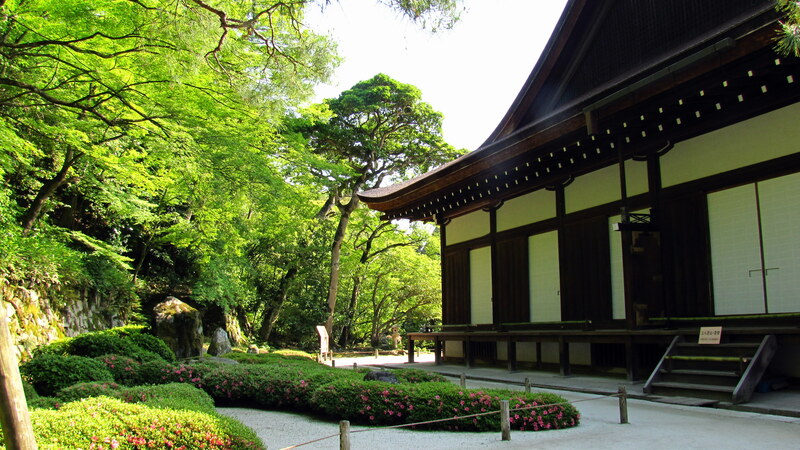 Chion-In temple, home of the Jodo Buddhist sect, is one of the most important temples of Kyoto with beautiful gardens. 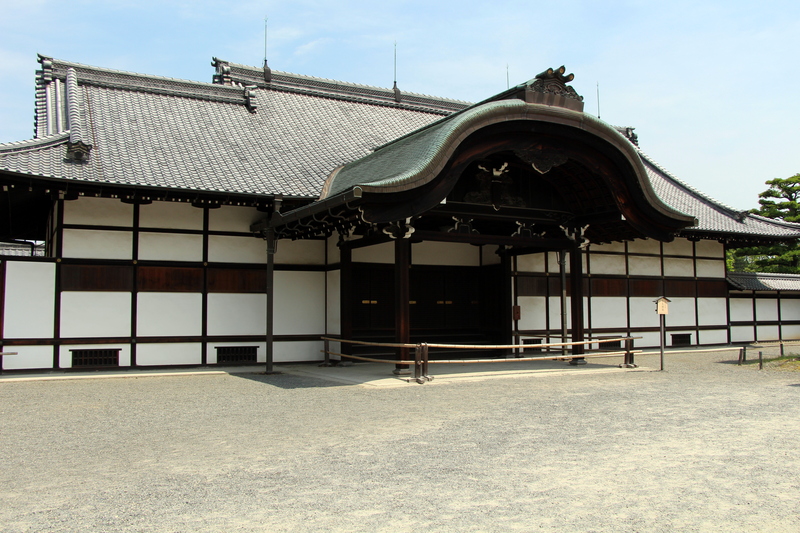 Nijo Castle was built by the first shogun Tokugawa Ieyasu to serve as his residence when in Kyoto. 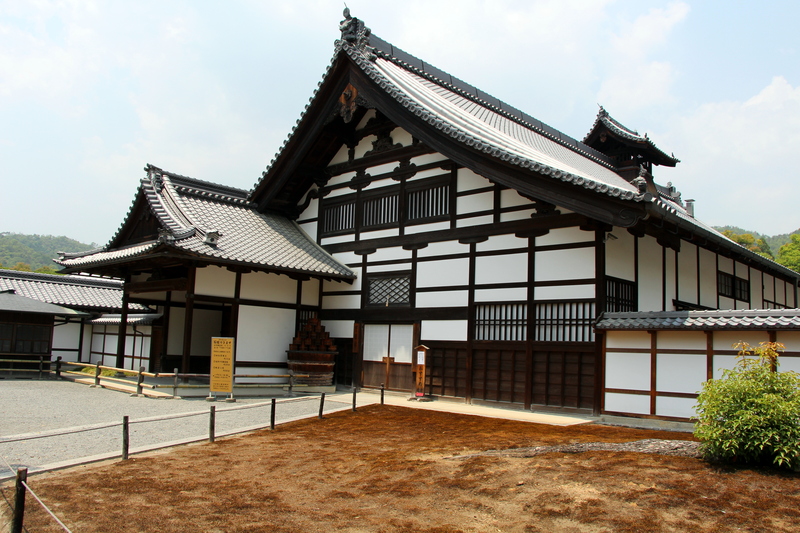 It was the residence of the 15 generations of shoguns, up until 1868 when the last shogun gave his power back to the emperor. 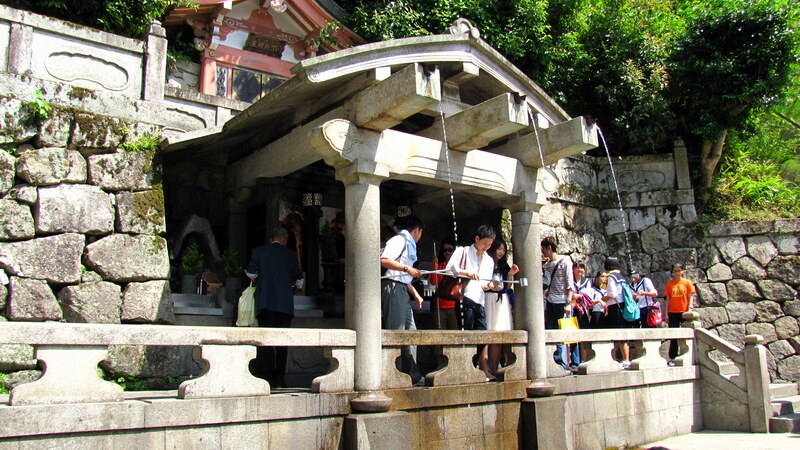 Built in 796 by the Shingon sect, its 5 stories 55 meters-high pagoda is the highest of Japan. 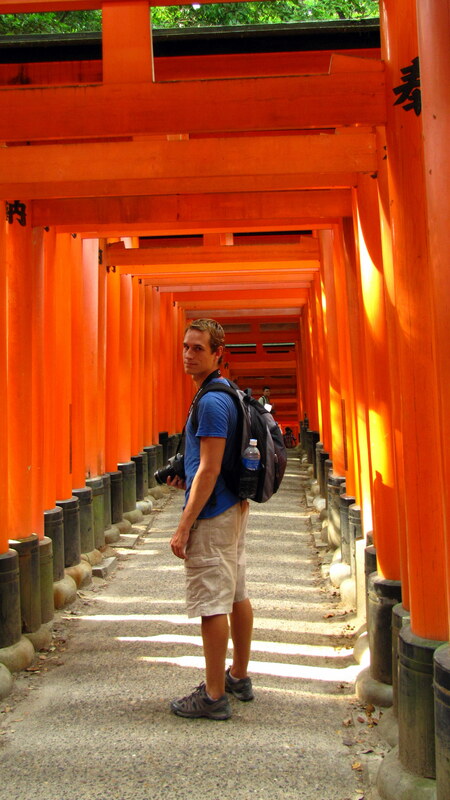 The unique feature of Fushimi-Inari is its network of aligned torii (the portal separating the world of the living and the sacred world). 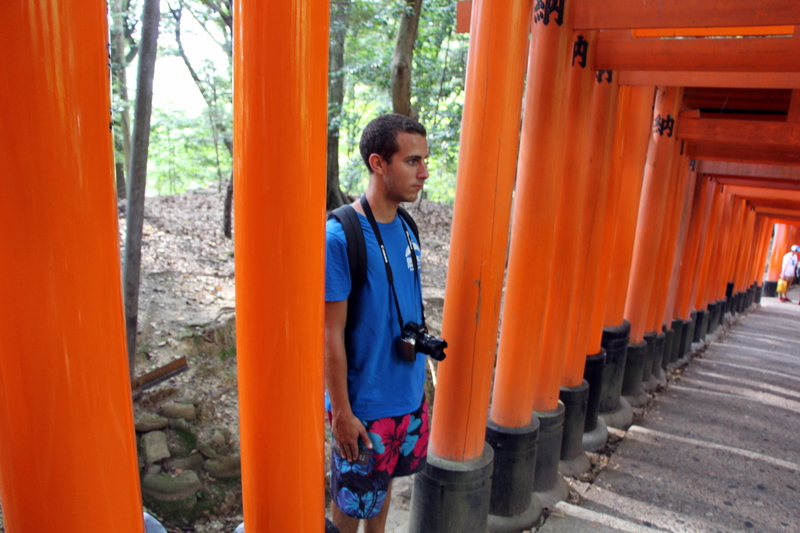 There are about 3 000 torii creating 4 km of galleries in the woods. 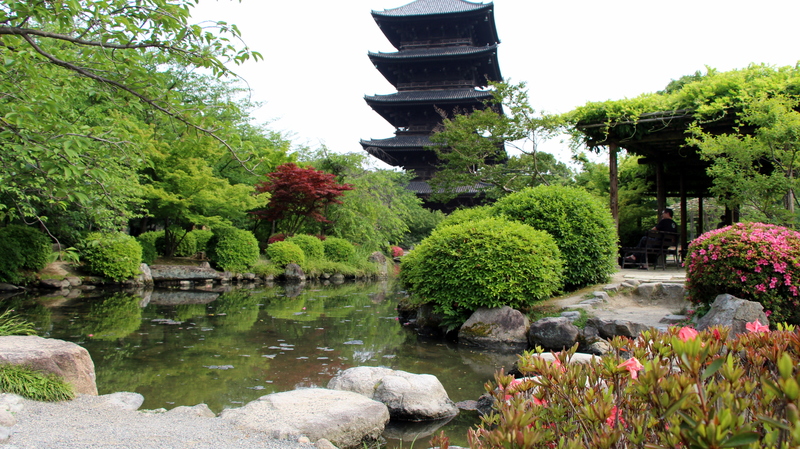 The monuments of Kyoto were really incredible, but we feel like we’ve seen enough Japanese temples for the rest of our lives!